I’ve had a two day break from packing. Truth is, I’d hoped to be done by now but the task is rather herculean in scope. When it comes to acquisitiveness, my sins are both copious and varied; books being one of the greatest. The good news is that all three kids love to read (how could they not?). However, I can’t tell you how many trips I’ve made to the liquor store to fetch appropriately sized boxes–big enough for larger volumes but not so big that I can’t lift them once filled. And of course, I’ve also purchased the occasional bottle of wine; liquid courage as well as a courtesy in exchange for all the free cardboard. David wanted a few days at the house before I resume my bundling, and so I’ve been taking a break with my friends Sadie and Pete. They are living in a seasonal rental (read winter, and so quite reasonable!) on Plum Island; a spit of land backed by tidal marsh and fronted by ocean. 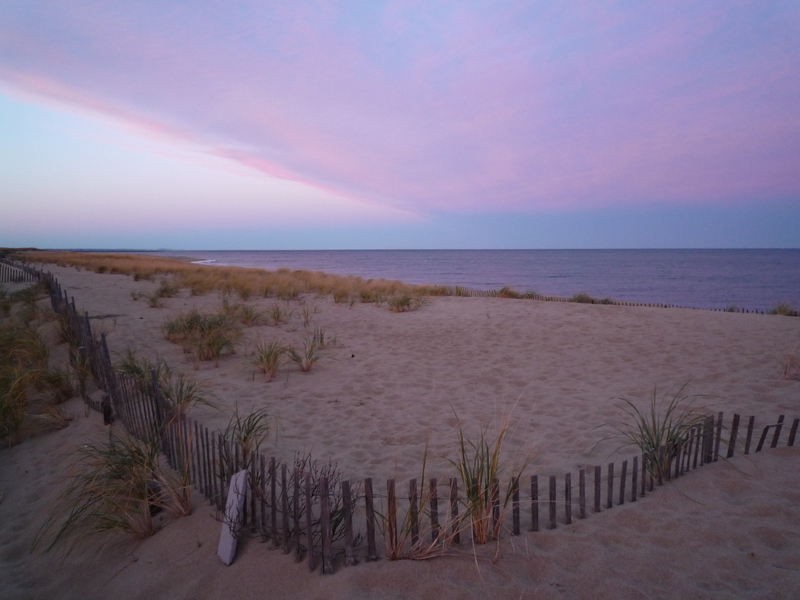 It’s a quirky but spectacular location, seemingly remote and yet minutes from Newburyport. Yesterday I grabbed lunch at a wonderful little shop called Joppa Fine Foods (named for the nearby Joppa Flats); this morning I walked down the road for black coffee to go from Mad Martha’s. I’m currently sitting by the fire–this place is pretty luxe–but in a few minutes, I’ll be hitting the road back to reality. This entry was posted in Changes, Uncategorized and tagged lung cancer, stage IV lung cancer. Bookmark the permalink. You are a mentor for me through your writing and example of living fully while coexisting with this disease. My two year canceverssary is next month. Our life circumstances are somewhat different but I feel like I am stepping in the footprints you are leaving in the sand and it makes my journey easier. I wish you courage and peace and long life! And to you too (courage, peace and long life). And congrats upon the upcoming two year mark—I wish you many more. What a wonderful and peaceful image. William, it did sort of make my soul feel all squeaky clean. Liz, it is a wonderful place; and it always seemed so close and yet so far when I lived in Ipswich. I like the fact that although it is inhabited on the northern end, the southerly tip is so wild and wooly—particularly on the side facing the ocean. And you too. And W as well. Hope she still loves me even though her birthday came and went without an acknowledge 😦 I suppose listening to music that reminded me of her just doesn’t count….time to catch up me thinks! Yep. Just keep moving; that’s my motto! Hope to see you soon….